Mr. Dang Duc Thanh, Dean of the Viet Nam Economists Club said that real estate prices in Viet Nam fell by a half against 2007 and costs of numerous departments bottomed out. In the period from Q3, 2014 to early 2015, the domestic real estate market would recover if the Government continues to support enterprises to handle high inventory levels and non-performing loans and raise liquidity for the real estate market so that buyers and sellers would be able to meet each other. According to Mr. Neil MacGregor, Managing Director of Savills Viet Nam – a real estate developer in Viet Nam, the domestic real estate market is in an attractive period. Mr. Neil MacGregor said that Viet Nam is standing at the bottom point of a real estate cycle when other Asian markets remain at the other side and are likely to be on the decline in the next few years. Hence, Viet Nam serves as an important destination for investors in Southeast Asia. He also revealed that customers of Savills Viet Nam from Japan, Singapore, and the Republic of Korea are intending to join long-term and large-scale projects on housing development in Viet Nam. 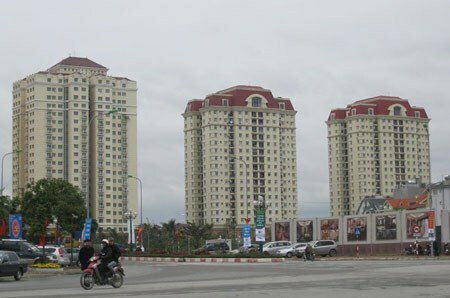 Phan Thanh Mai, Secretary General of the Viet Nam Real Estate Association said that eight commercial banks are piloting a program to connect investors, bidders, material providers and banks to remove difficulties and handle high inventory levels in the real estate market. The move has defrosted the real estate market.